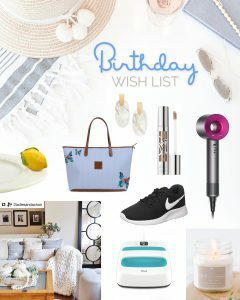 Today I’m sharing a Birthday Wish List, because my birthday month is coming up NEXT month. I always enjoy doing a wish list… a girl has got to dream, right? 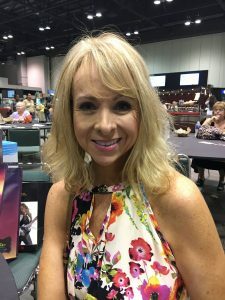 This wish list has a variety of items and a couple of them were items I saw at Haven, the blogging conference I went to recently. Fresh Cut Herbs 8 oz Mason Jar Candle from Antique Candle Works (or the Sweet Lemon scented candle) – One of the swag items in my Haven bag was a scented candle from Antique Candle Works. I was looking at their site and oh would I love to have their Fresh Cut Herbs or even the Sweet Lemon candle! Dyson Supersonic Hair Dryer – This is probably my #1 item I’d love for my birthday. I’ve been hearing such great reviews about this Dyson hair dryer. It has a pretty price tag, but it isn’t like I buy a hair dryer very often. Plus, it would get a lot of use! I have naturally curly hair which is a pain and I’d know this would make mornings easier for me while I’m trying to tame my mane! Melamine Oval Server + Lemon Mini by Nora Fleming – Another blogger mentioned the Nora Fleming brand to me recently and it really is as cute as can be! They sell white porcelain kitchen plates, servers, bowls, etc. and also little mini trinkets that go on it. I really love the oval server and the lemon mini. A gift card to this place would also be nice! Cricut Easy Press – I have a Silhouette, but I don’t believe they offer a press machine. I love the size of this and I would love to have it for when I am working with the heat transfer vinyl! It would be so much more effective than using my iron! All Nighter Waterproof Full Coverage Concealer (Light Warm shade) by Urban Decay – I got a little sample of this concealer from Sephora and HOLY moly. It is awesome stuff. I’m usually one of those people that has to finish every little ounce of something, but if I were to receive this I would just toss my current concealer and be good to go with this!! Aragon Gold Drop Earrings in Ivory by Kendra Scott – I just love Kendra Scott. These earrings are so clean and classy. You could wear them dressy or to dress up a casual look. Hope everyone has a wonderful Thursday! I can’t wait to see everyones outfits for this week! 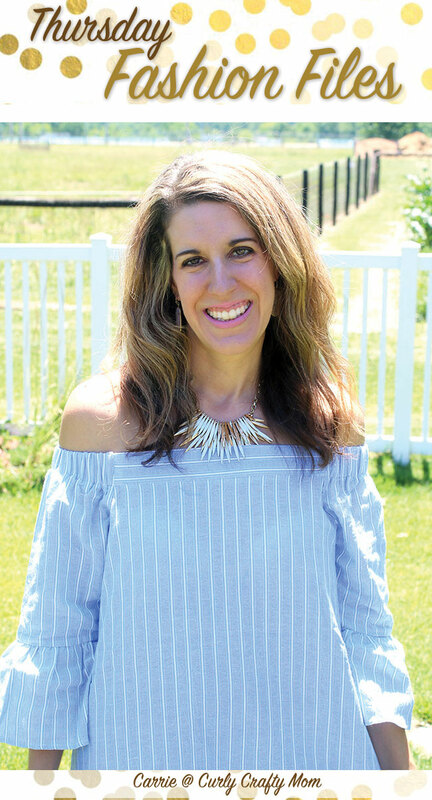 This week’s co-host is Julie from This Main Line Life. 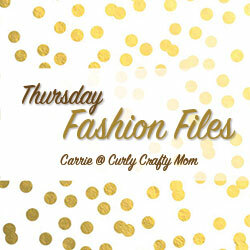 My pick from last week’s party is Kellyann’s post about How to Fake Fuller Hair at This Blonde’s Shopping Bag.